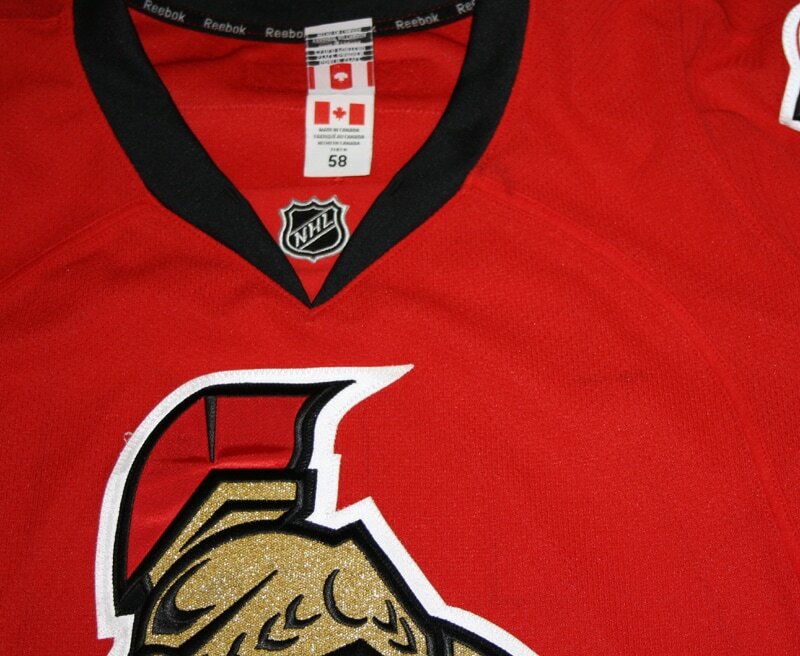 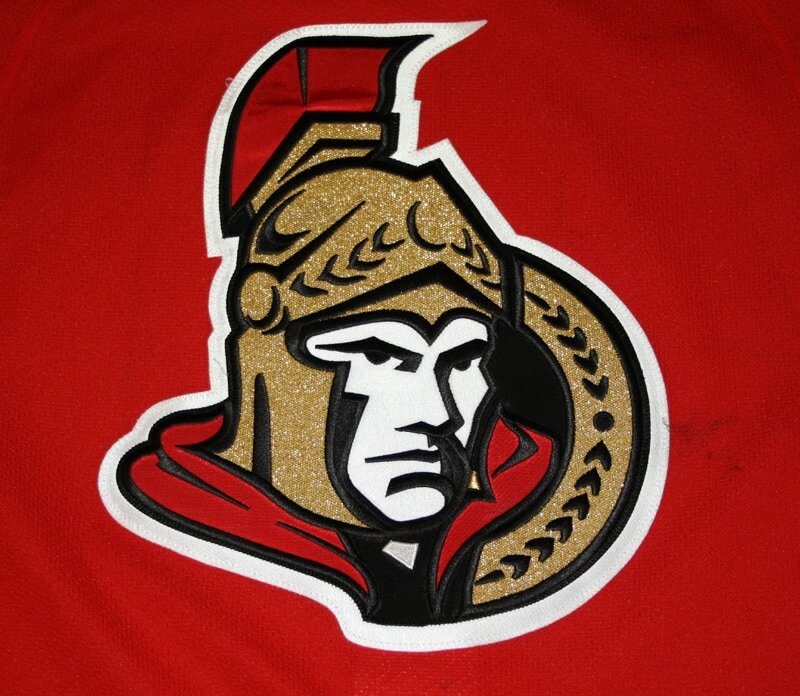 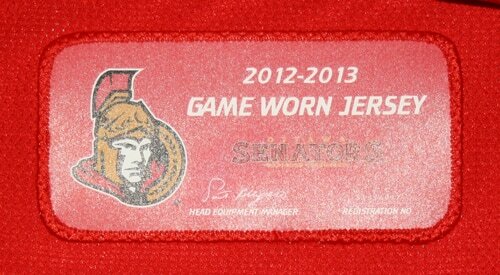 This jersey was worn by Craig Anderson of the Ottawa Senators during the 2012-13 season. 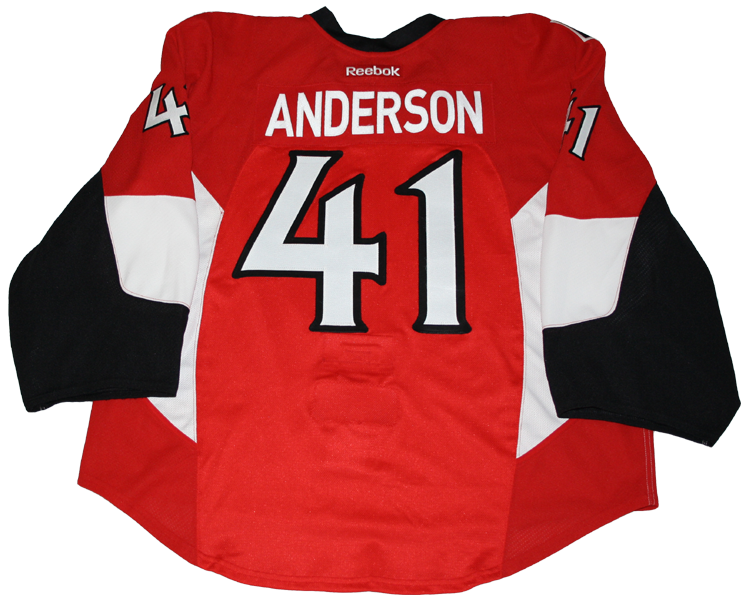 Anderson wore this jersey after he returned from an ankle injury in April 2013. 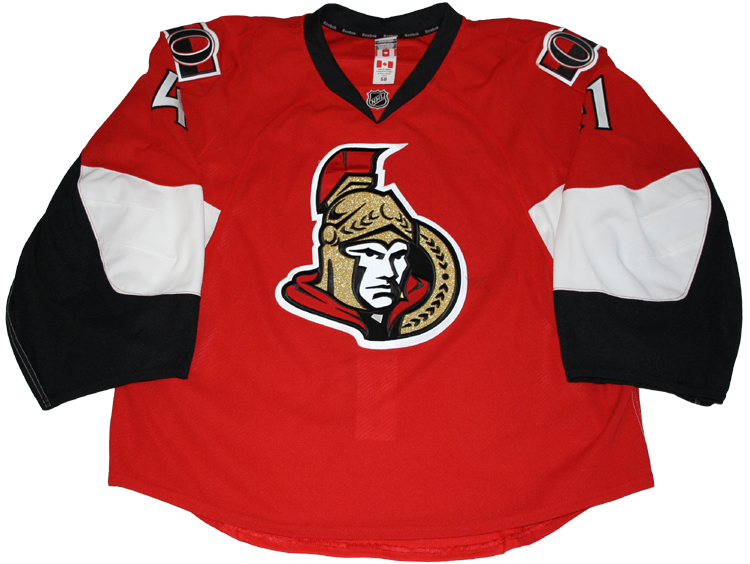 Anderson posted a 1-2 record while wearing this jersey, while once being named a game star. 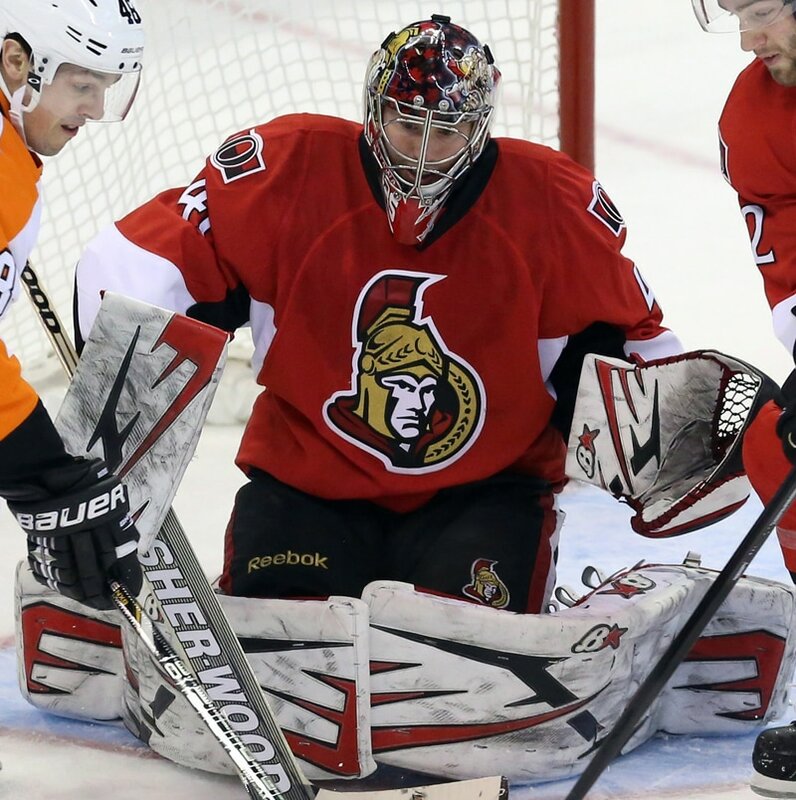 Anderson led the NHL in goals against average and save percentage during the 2012-13 season.